The Wounded Warrior Project, is a service poster informing the public about the organization and how they can help. 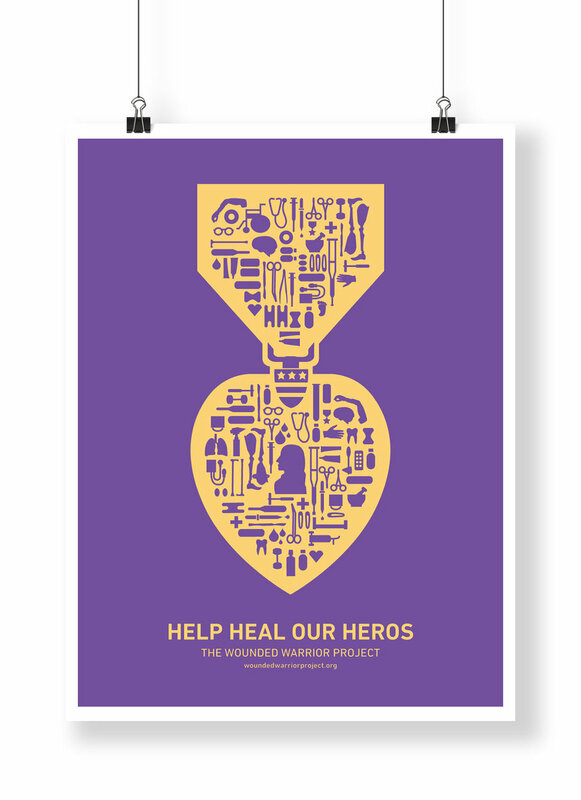 The poster takes multiple objects relating to health and the military and forms them into the shape of a purple heart. The idea is to show that all warriors are heroes and should be provided care after they return from war.